If you haven’t figured it out by now, Snapchat has taken social media by storm. The idea that looked absurd and only fit for teenagers to follow is now forcing marketers and entrepreneurs to take notice. The application receives daily traffic from 150 million users around the world and is popular for its unique and astonishing concepts. Snapchat boasts 10 billion video views per day, and over 60% of all smartphone users have the Snapchat app installed. The app grew from 2 billion to over 12 billion daily views in one year, and in a matter of five years it has grown to be one of the largest social platforms in the world. Capturing users from social platforms. Consumers average 25-30 minutes on the app per day, and 50% of its users are on the app every single day. Snapchat’s 150 million daily active users also surpasses Twitter’s 140 million daily users. More than 50% of new daily users are 25 and over, debunking the notion that Snapchat is for teens and Millennials only. The 25+ crowd is flocking to Snapchat at twice the rate of users age 24 and below. The popularity of Snapchat can be measured from the fact that companies like Facebook and WhatsApp copied its ideas to gain a similar following for their application. Applying filters and posting daily live updates on your Story is a trend that is rapidly influencing bloggers and businesses to stay connected and engaged with their respective customers. Marketers that have effectively used Snapchat are the ones that don’t lump it into the general social media category; that’s because its many nuances make it much different from Facebook, Twitter, and Instagram. However, take note, Snapchat has sent a clear message at the start of this year, that things are about to change for brands using the platform. 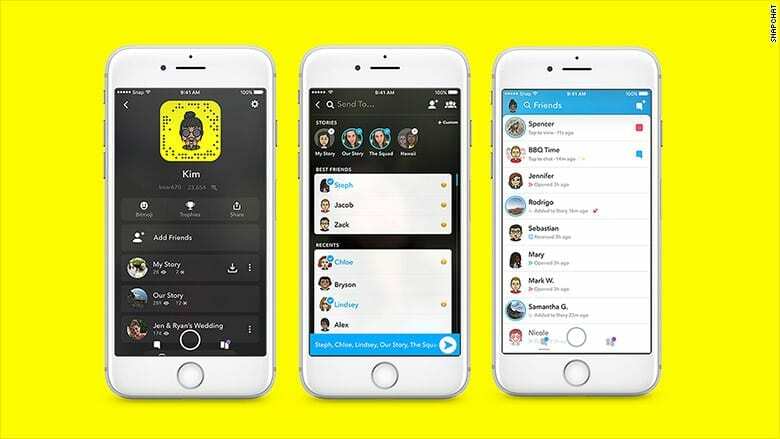 Here’s what you can expect from the 2018 Snapchat re-design. First off, Snap users will see the separation of content streams between a left swipe and a right swipe. On the left side, you’ll find content from ‘good friends’ which are people you know and brands/people who follow you back. On the right, you’ll continue to find Discover, where content from publishers, creators, and brands. They’ll also be focusing on including verified influencers in Discover as part of the update, adding new considerations to brand distribution. This is Snapchat’s most significant design shift since it first launched in 2011, and is designed to reinvigorate itself, both for users and advertisers. With this new look Snapchat is sending a clear message to Marketers, Get Ready to Pay. So, what does this mean to you 2018 Marketing Plans? By moving brand content out of the main feeds means that brands can no longer easily tap into the massive reach they’ve enjoyed as their content integrated nicely amongst users’ friends. In doing so, this makes it obvious that Snapchat like Facebook, is serving notice that brands are going to have pay to play. In other words, you better pay up if you want to talk to your fans. Promoted stories will remain the same, where they show up between organic posts. This move is sure to drive additional ad revenue for Snapchat, whose earnings last quarter fell short of expectations. Another thing to take note of in the new look is the decision to move brands to their own section. This was done to separate and make the user experience more ‘social’, unless the brand gives you a #follow back. For those existing brands on Snapchat who invested heavily in building a following on Snapchat, they will now have to re-think their community management strategies and decide how to engage with their fans moving forward. As part of this redesign, Snapchat announced that verified influencers would be included in the Discover section. By doing this, Snapchat is in effect providing an incentive to influencers into creating content on the platform by receiving extra reach and engagements as well as providing ways for these creators to monetize their content. Snapchat has hinted at their prioritizing creators on the platform and appear to be making good on their word. More importantly, Snapchat is smartly prioritizing their big name talent to create content to drive user growth. So for Snapchat here’s what you need to think about. Brands should start thinking about their media spend on the platform, based on their organic KPIs. Snapchat may very quickly become a pay to play platform, even for the brands that have massive audiences. And Influencers are about to have a lot of added value components for their partnerships, especially in the next year as Snapchat makes good on using influencers to drive platform growth. Facebook, Twitter, LinkedIn, and others have been updating themselves in 2018 to meet the changing needs of consumers and businesses. Read our post “How to keep up with the latest social media changes” to learn more.